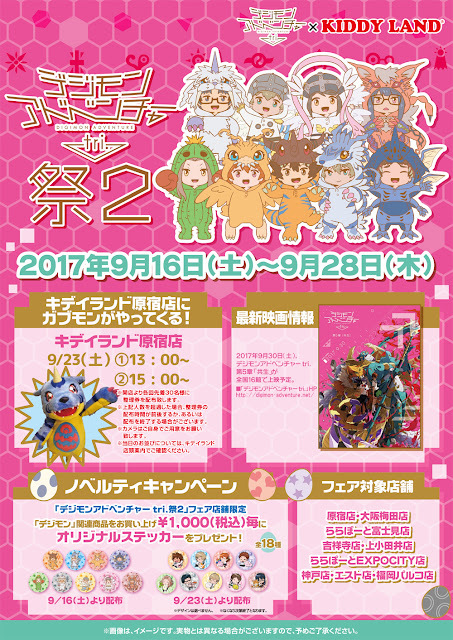 僕たちのデジタルワールド: KiddyLand Digimon Event Part 2! KiddyLand Digimon Event Part 2! 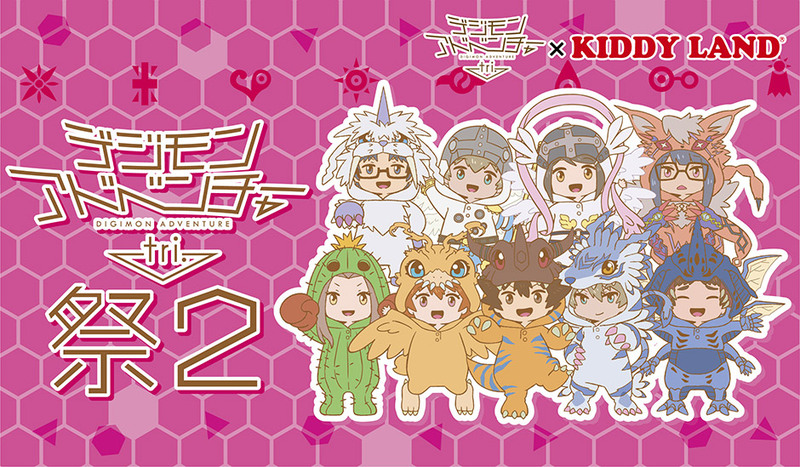 Starting September 16th to September 28th, KiddyLand stores will be selling exclusive* digimon adventure tri merchandise! 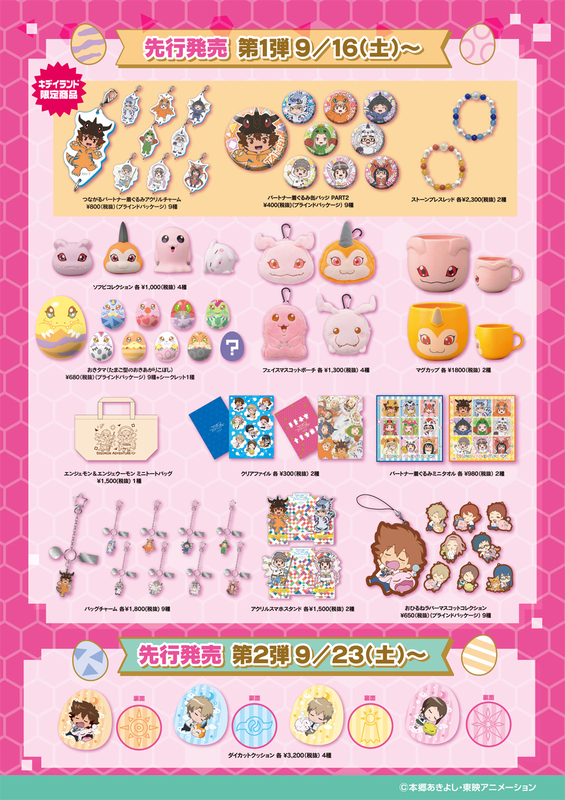 *Some of these items were later sold on websites like AmiAmi for part 1, it’s unknown if the same will happen for part 2. Visitors will have a chance to meet the digimon mascots, as well as receive special stickers if they spend over 1,000 yen! with matching themed stickers for purchases over 1,000 yen for that week.